We are once again practicing the fine art of saying thank you in the lead up to Christmas. 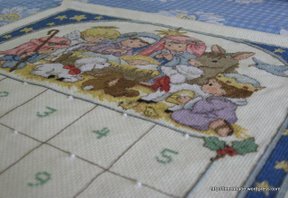 I’ve pulled out my cross stitch advent calendar that I spent so many months working on. 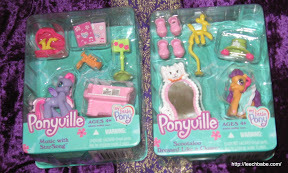 I found these two Ponyville sets for only $2 each at Coles, score! I’ve opened them up and wrapped each piece individually. 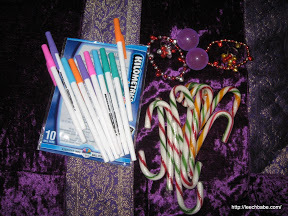 Some more cool bits and pieces from Coles, fun colored pens, bracelet and rings with little bells on, bouncy balls and of course candy canes. 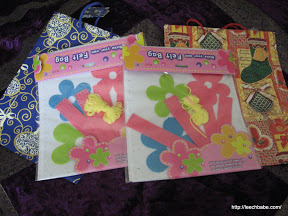 And finally some super cute candy cane pens, Santa bubble mix, Christmas stamps, erasers and sticky note paper from 2CutePartyBags. 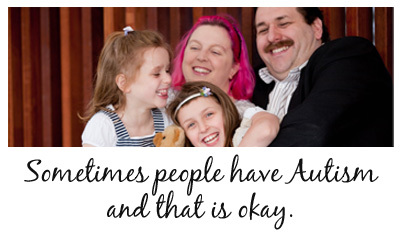 Fun, not too expensive and a great way to practice saying ‘thankyou’ before Christmas Day.